Israeli cinema has a relatively short history. The visions of Arabs in Israeli cinema has been developing since the early days of cinema and play a major role in this young industry’s development. With a segment from a new documentary scanning the milestones of Arabs in Israeli cinema. Many artists in Israel are torn by their conflicted identity and their political integrity. Some are taking a stand and refusing to participate in certain Israeli productions in order not to create a situation of what they are calling “normalization”. Join us for an in-depth panel with artists who have to make tough choices in a complicated political climate – Filmmaker Mohammad Bakri, hip hop musician Sameh Zakout, and Mahmood Shalbi. Moderated by Daniel Chalfen. The latest incarnation of Israel’s Sesame Street is directed by one of Israel’s top directors and focuses on building tolerance and understanding between Arab and Jewish children – including the first Arab Muppet “Mahbub”. The show was developed by Arabs, Jews and professionals from around the world to create a well balanced educational environment. A staple of the Palestinian hip hop scene, Sameh “SAZ” Zakout rhymes in Arabic, Hebrew and English and is widely hailed for his beatbox technique. Born and raised in Ramle, a predominantly Palestinian Arab city within Israel, SAZ has been featured in Rolling Stone and on CNN. His lyrics are very blunt and direct, and his songs deal with political, social and personal issues. Join the New Israel Fund’s New Generations and other young leadership groups for a Shabbat dinner and discussion with award winning filmmakers Mohammad Bakri and Barak Heymann. Arrive earlier for a pre-dinner glass of wine and view of the groundbreaking “18” – Photography Exhibit. Conflicting historical narratives lie at the core of the Jewish-Arab divide in Israeli society. These divergent versions of history lead to a fundamental misunderstanding of each others’ experience. For the Jewish community, in particular, the narrative of Arab citizens of Israel raises questions about loyalty, security, democracy, and ultimately the future of Israel as a Jewish state.  Join young social justice and Israel activists for an exciting evening of short films and an open, facilitated dialogue, which will grapple with the Arab experience in Israel. Prue Thorner founded BedouinWeaving.com to promote the wellbeing of the Bedouin women in the village of Lakiya in Israel’s Negev Desert. She tells their story through her photographs of these women at work, and helps support them through the sale of their embroidery and weaving. A photo-documentary project which examines contemporary visions of Arab society in Israel from a unique angle. 18 focuses on young Arab men and women at the pivotal age of 18 years old. This age is serves as a major divide in Israeli society as most citizens join the military, while most Arab citizens do not. The project includes a series of profiles of various individuals in Arab communities around Israel, including environmental portraits as well as documentation of their lives and close surrounding. Other Israel Film Festival had collaborated with the award winning Israeli photographer Natan Dvir to create and photograph this series of profiles. A photo-documentary project which examines contemporary visions of Arab society in Israel from a unique angle. 18 focuses on young Arab men and women at the pivotal age of 18 years old. This age is serves as a major divide in Israeli society as most citizens join the military, while most Arab citizens do not. The project includes a series of profiles of various individuals in Arab communities around Israel, including environmental portraits as well as documentation of their lives and close surrounding. Other Israel Film Festival had collaborated with the award winning Israeli photographer Natan Dvir to create and photograph this series of profiles. Exhibited through January 28, 2010.